SAN ​​FRANCISCO, CA ​​and ​​PITTSBURGH, PA--(Marketwired - November 28, 2017) - ​Swift ​​Navigation and ​​​Carnegie ​​Robotics ​​LLC ​​(CRL) today ​​announced ​​immediate ​​availability ​​of ​​Duro™, ​​an ​​extremely ​​rugged, ​​low-cost, ​​centimeter-accurate, dual-frequency ​​RTK ​​GNSS ​​receiver ​​in ​​an ​​easily-deployable ​​enclosure. ​​San ​​Francisco-based ​​Swift Navigation, ​​a ​​tech ​​firm ​​building ​​centimeter-accurate ​​GPS ​​technology ​​to ​​power ​​a ​​world ​​of ​​autonomous vehicles, ​​teamed ​​with ​​Pittsburgh-based ​​CRL​ -- ​the ​​industry ​​leader ​​in ​​reliable ​​robotic ​​components ​​and systems​ -- ​to ​​develop ​​Duro, ​​which ​​is ​​a ​​ruggedized, ​​enclosed ​​version ​​of ​​Swift ​​Navigation's ​​flagship ​​Piksi® Multi ​​dual-frequency ​​RTK ​​GNSS ​​receiver. ​​The ​​new ​​product ​​can ​​be ​​ordered ​​at ​​​store.swiftnav.com​. 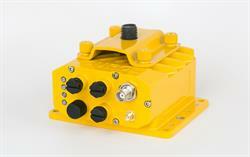 Built ​​for ​​outdoor ​​operations, ​​Duro ​​combines ​​a ​​rugged ​​enclosure ​​with ​​centimeter-accurate ​​positioning ​​at a ​​breakthrough ​​price. ​​Leveraging ​​design ​​and ​​test ​​standards ​​from ​​military ​​and ​​mining ​​hardware, ​​the GNSS ​​sensor ​​is ​​protected ​​against ​​weather, ​​moisture, ​​vibration, ​​dust, ​​water ​​immersion ​​and ​​EMI ​​exposure typical ​​of ​​long-duration, ​​harsh ​​outdoor ​​deployments. ​​In ​​addition ​​to ​​its ​​ruggedness, ​​Duro ​​is easy-to-deploy ​​and ​​is ​​ready ​​to ​​connect ​​right ​​out ​​of ​​the ​​box. ​​Primary ​​industries ​​for ​​this ​​product ​​include: Autonomous ​​Vehicles, ​​Robotics, ​​Precision ​​Agriculture, ​​Mapping, ​​Military, ​​Outdoor ​​Industrial ​​and Maritime. 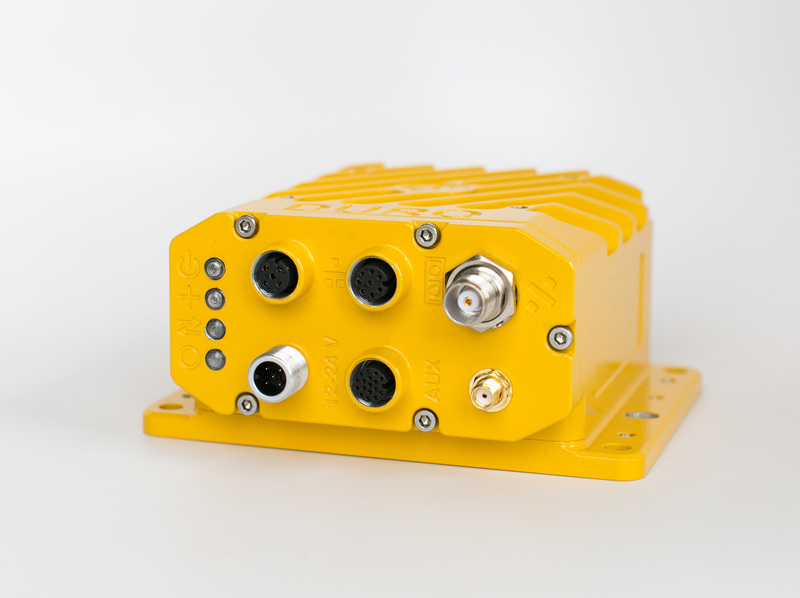 "We ​​are ​​thrilled ​​to ​​make ​​this ​​product ​​available ​​for ​​the ​​many ​​industries ​​that ​​can ​​now ​​unlock ​​vast autonomous ​​vehicle ​​applications ​​with ​​cost-effective ​​RTK ​​solutions," ​​said ​​Tim ​​Harris, ​​CEO ​​and Co-Founder ​​of ​​Swift ​​Navigation. ​​"Duro ​​is ​​the ​​perfect ​​combination ​​of ​​our ​​centimeter-accurate ​​GNSS technology ​​and ​​Carnegie ​​Robotics' ​​rugged ​​robotic ​​systems, ​​renowned ​​for ​​getting ​​work ​​done ​​for ​​real world ​​applications​." "This ​​product, ​​the ​​first ​​of ​​many ​​joint ​​developments ​​between ​​Swift ​​and ​​Carnegie, ​​marks ​​an ​​exciting innovation ​​milestone ​​that ​​ticks ​​all ​​the ​​boxes: ​​high-accuracy, ​​low-cost ​​and ​​ruggedized ​​for ​​real ​​world applications," ​​said ​​John ​​Bares, ​​CEO ​​of ​​Carnegie ​​Robotics. ​​"We ​​are ​​providing ​​a ​​solution ​​with ​​significant implications ​​for ​​manned ​​and ​​unmanned ​​vehicles ​​in ​​industries ​​including ​​mining, ​​material ​​handling ​​and precision ​​agriculture. ​​Duro's ​​feature-set ​​and ​​price ​​point ​​will ​​unlock ​​a ​​new ​​generation ​​of ​​outdoor autonomous ​​robotic ​​systems." Duro ​​builds ​​on ​​Swift ​​Navigation's ​​mission ​​to ​​utilize ​​real-time ​​kinematics ​​(RTK) ​​technology ​​to ​​provide location ​​solutions ​​that ​​are ​​100 ​​times ​​more ​​accurate ​​than ​​traditional ​​GPS, ​​at ​​a ​​fraction ​​of ​​the ​​cost ​​of competing ​​systems. ​​Ushering ​​in ​​a ​​new ​​era ​​of ​​precision ​​GPS ​​affordability, ​​Duro ​​incorporates ​​Piksi ​​Multi and ​​builds ​​on ​​this ​​revolution ​​in ​​advanced ​​precision ​​GNSS ​​capabilities ​​for ​​the ​​mass ​​market. For ​​more ​​detailed ​​information, ​​please ​​see ​​the ​Duro​​ ​​Product ​​Summary​. Orders ​​can ​​be ​​placed ​​via ​​Swift ​​Navigation's ​​​online ​​store​. ​​Initially, ​​the ​​product ​​will ​​ship ​​only ​​to ​​North America, ​​with ​​worldwide ​​shipping ​​coming ​​soon. Swift ​​Navigation​, ​​Inc. 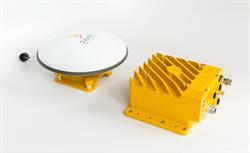 ​​was ​​founded ​​in ​​2012 ​​to ​​make ​​GPS ​​positioning ​​technology ​​more ​​accurate ​​and affordable. 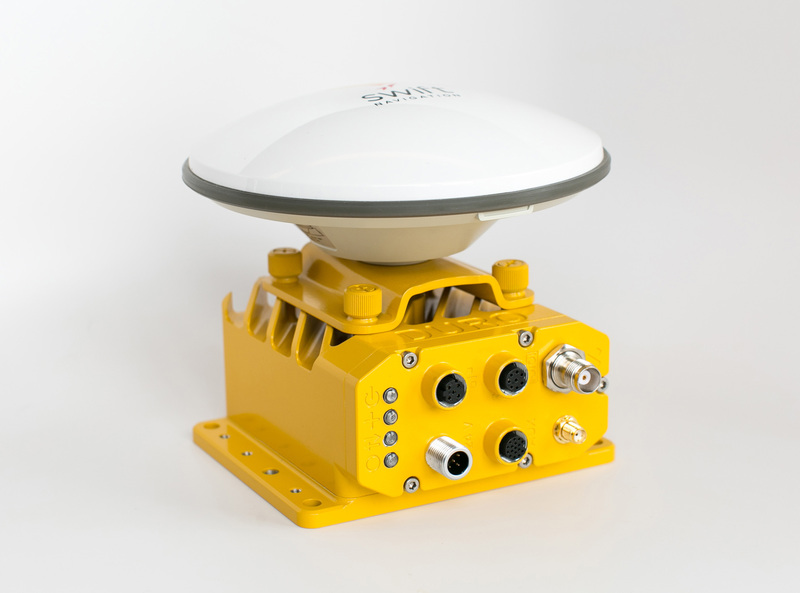 ​​Today, ​​Swift ​​Navigation ​​has ​​gained ​​a ​​reputation ​​for ​​defining ​​a ​​new ​​category ​​of ​​GNSS ​​systems as ​​the ​​industry's ​​first ​​low-cost, ​​high ​​accuracy ​​real-time ​​kinematics ​​(RTK) ​​receiver. ​​Its ​​GPS ​​and ​​GNSS positioning ​​products ​​are ​​available ​​at ​​a ​​fraction ​​of ​​the ​​price ​​of ​​the ​​competition ​​and ​​deliver ​​100 ​​times better ​​accuracy ​​than ​​the ​​GPS ​​in ​​a ​​cell ​​phone. ​​Swift ​​Navigation's ​​technology ​​benefits ​​a ​​multitude ​​of industries ​​and ​​applications -- including ​​autonomous ​​vehicles, ​​unmanned ​​aerial ​​vehicles ​​(UAVs), ​​precision agriculture, ​​robotics, ​​surveying ​​and ​​space. ​​With ​​its ​​innovation ​​and ​​technology ​​honored ​​by ​​​Inc. 's ​​2016 and ​​​Forbes ​​2017 30 ​​Under ​​30 ​​lists, ​​Swift ​​Navigation ​​is ​​enabling ​​a ​​world ​​where ​​fields ​​farm ​​themselves, drones ​​fly ​​safely ​​and ​​autonomous ​​transportation ​​can ​​take ​​you ​​home. ​​Learn ​​more ​​online ​​at ​​​swiftnav.com and ​​follow ​​Swift ​​on ​​Twitter ​@Swiftnav. Carnegie Robotics LLC (CRL) was founded ​​in ​​2010 ​​to ​​be ​​an ​​end-to-end ​​provider ​​of ​​reliable ​​robotic components ​​and ​​autonomous ​​mobile ​​ground ​​robots. 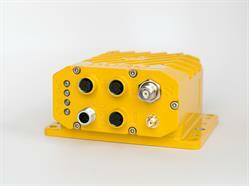 ​​CRL ​​has ​​particular ​​focus ​​in ​​inertial-based ​​pose, GPS-denied ​​positioning ​​and ​​perception ​​technologies. ​​Carnegie ​​Robotics ​​offers ​​both ​​its ​​own ​​product ​​lines and ​​custom ​​product ​​development ​​to ​​support ​​the ​​defense, ​​light ​​industrial, ​​agriculture, ​​mining ​​and infrastructure ​​markets. ​​The ​​company ​​fuses ​​engineering, ​​manufacturing ​​and ​​testing ​​expertise ​​with ​​a strong ​​focus ​​on ​​meeting ​​end ​​user ​​needs ​​for ​​reliability, ​​productivity, ​​safety ​​and ​​the ​​dozens ​​of ​​other essential ​​factors ​​necessary ​​for ​​a ​​product ​​to ​​work ​​in ​​the ​​real ​​world. ​​The ​​performance ​​and ​​reliability ​​of CRL's ​​products ​​is ​​a ​​result ​​of ​​an ​​ISO ​​9001:2008 ​​certified ​​process ​​that ​​covers ​​all ​​aspects ​​of ​​CRL's ​​product design, ​​testing, ​​requirements ​​validation ​​and ​​production. ​​​Learn ​​more ​​online ​​at ​​​carnegierobotics.com and follow ​​CRL ​​on ​​Twitter ​​​@CRLBots. Swift Navigation and Carnegie Robotics LLC (CRL) today announced immediate availability of Duro™, an extremely rugged, low-cost, centimeter-accurate, dual-frequency RTK GNSS receiver in an easily-deployable enclosure. Built for outdoor operations, Duro™ (by Swift Navigation & Carnegie Robotics) combines a rugged enclosure with centimeter-accurate positioning at a breakthrough price. Built for outdoor operations, Duro™ (by Swift Navigation & Carnegie Robotics) combines centimeter-accurate positioning with military ruggedness at a breakthrough price. 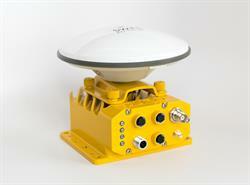 Swift Navigation and Carnegie Robotics now shipping Duro™, an enclosed version of the Piksi Multi Dual-Frequency RTK GNSS Receiver.